Studied: Illustration at Central Saint Martin’s College of Art and Design in London, whilst training to become an illustrator Francis also pursued his own career as a painter. Work: Mike Francis is commonly described as a realist painter, using both in oil and acrylic on canvas. He is known for his glossy, highly finished pictures which often feature a prominent female figure accompanied by a dog. Mike Francis is a photo realist, with a profoundly contemporary imagination, however his technique is deeply rooted in the Old Masters. 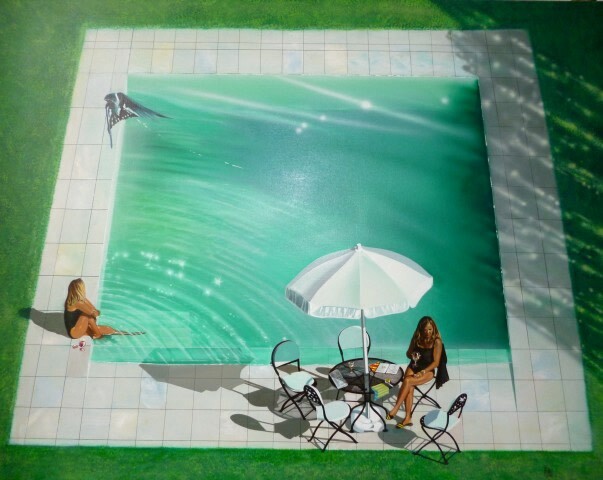 He is known for his glossy, highly finished paintings of landscape, pool and beach scenes that often feature women in ambiguous and often erotically-charged situations. His compositions often possess a distinctive ‘summer feel’ and are vibrant in colour and narrative. While sketches and photographs may help the composition of his work, he is not a fan of airbrush and his studio is overflowing with the traditional array of brushes, sticks rags and sponges. However, few traces of this process are left visible on the canvases themselves, allowing the viewer the freedom to engage with the images without concern for what the artist may have intended us to think. 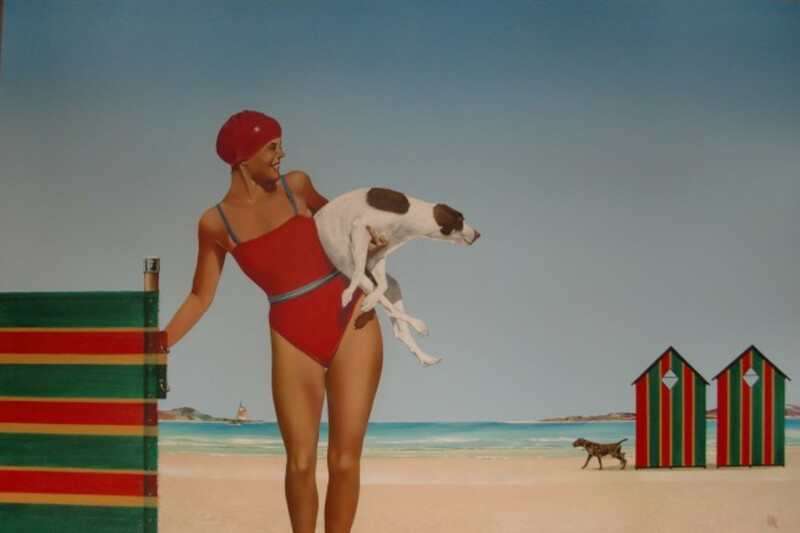 Working with both oil and acrylic on canvas, some of his creations bare a resemblance to 1950s postcards, highlighting the way in which he combines styles from his commercial illustrator past with techniques more in tune with hyperrealism. Described as a realist, Francis’ work, although technically real, also conveys his dry sense of humour, adding a new dimension to familiar images, dreams and fantasies. Francis has gained numerous artistic accolades, winning of several prestigious competitions. 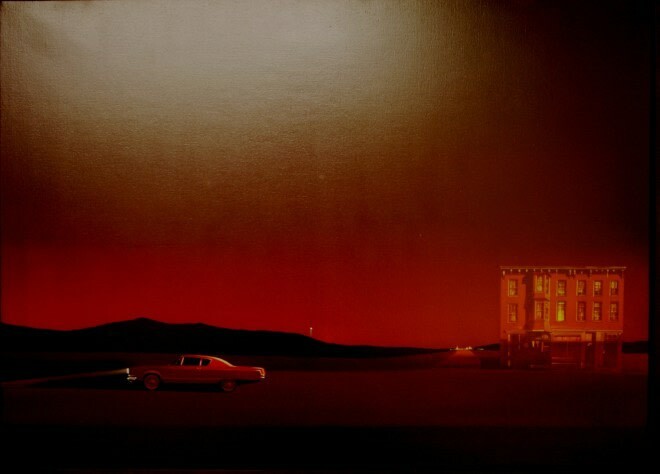 1972 brought Francis success when he won the National Gallery’s 150th anniversary poster award - the only contemporary artist’s work to appear on a National Gallery poster. His work is shown at numerous exhibitions and art fairs in cities across the world including Paris, Basel, Cologne, Stockholm, Munich, Washington DC, New York and London.